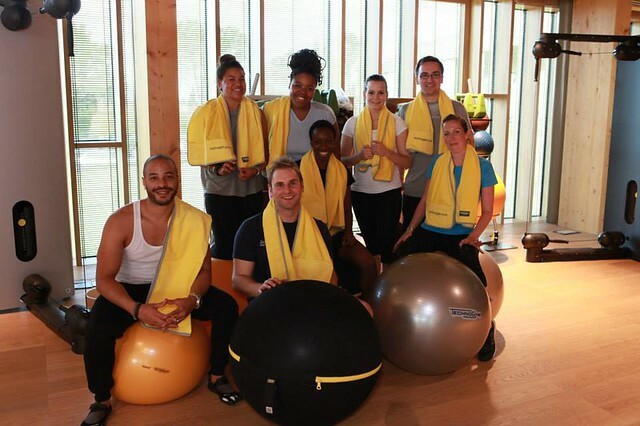 Last month we were invited to take part in Technogym’s very first International Blogger Days! 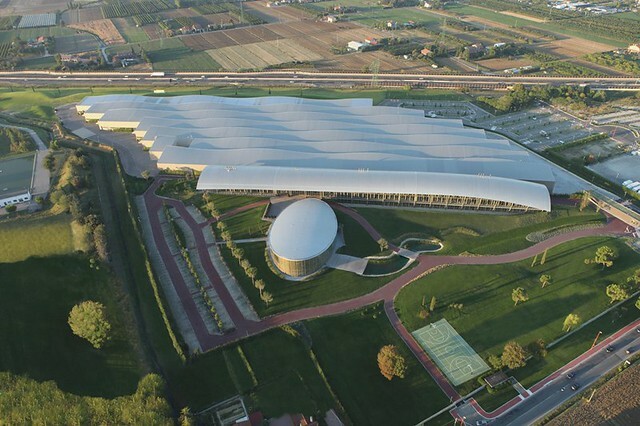 It was a two-day trip at the Technogym Village in Cesena, Italy. 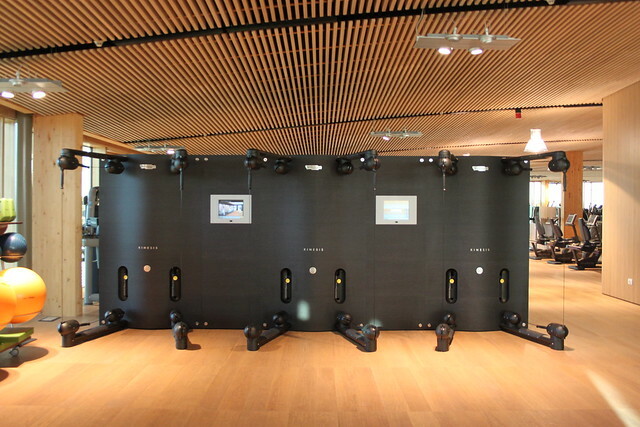 Technogym is on a mission to get people to move more. Going to the gym is a good thing to keep fit but if we are not at the gym what do we do? Like most of us you are probably at work sitting at a desk (I'm actually standing in a kitchen) , probably wishing you could move more during these 8 hour work days. 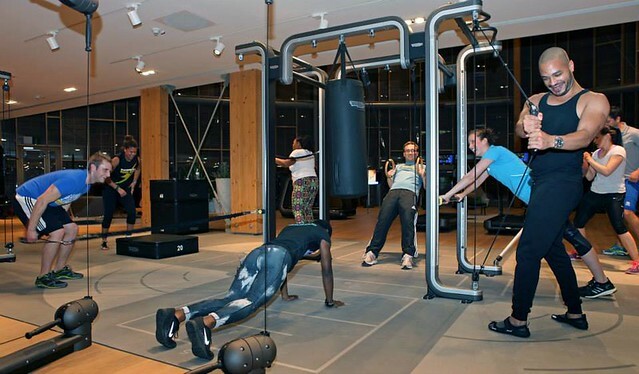 If you are familiar with Virgin Active or Gymbox, you probably haven't even noticed that the Technogym brand that has been right in front of your eyes all along! 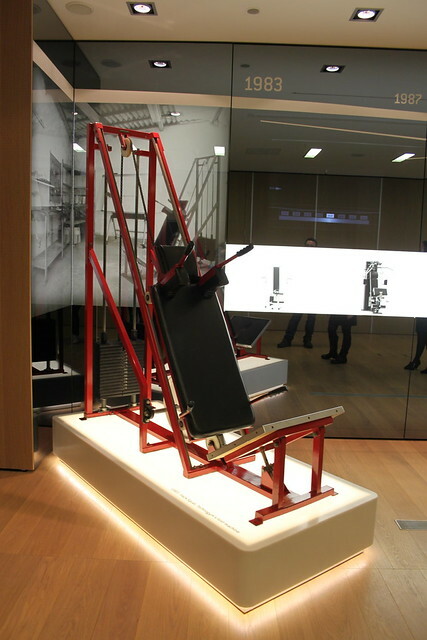 At the age of 22, president and founder, Nerio Alessandri, developed his first piece of fitness equipment in his garage in 1983. 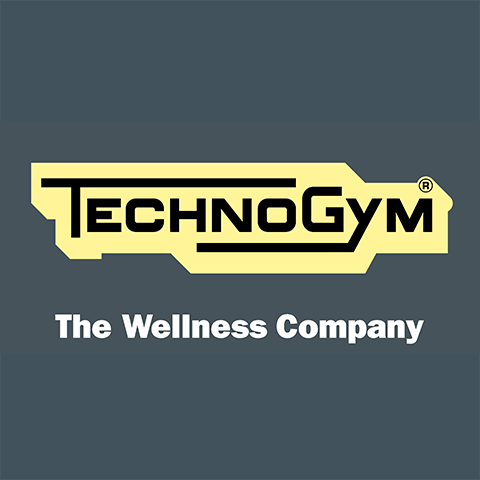 Today, Technogym is the world's leading international supplier of products, services, and solutions in the wellness and fitness fields. All its products are made in Italy and export 90% of its production to 100 countries. 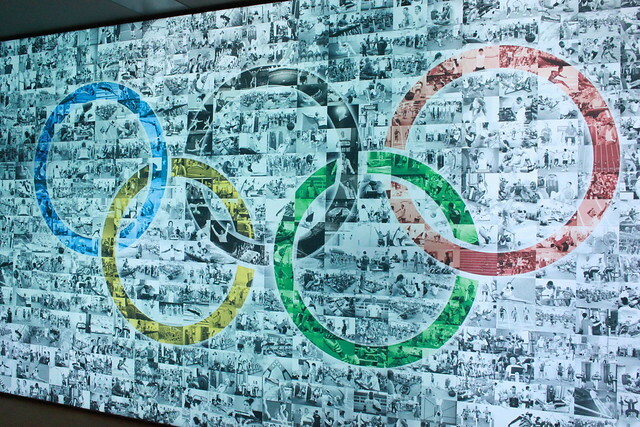 By being the leader on the market, naturally Technogym became the official supplier to the last 5 Olympics Games. 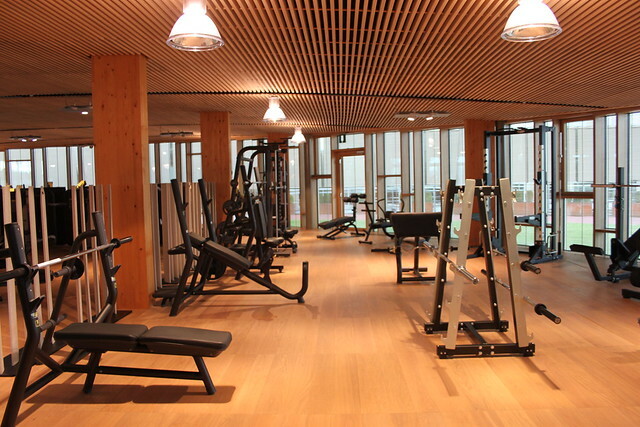 Technogym team creates workout spaces for the athletes on all the Olympic sites. 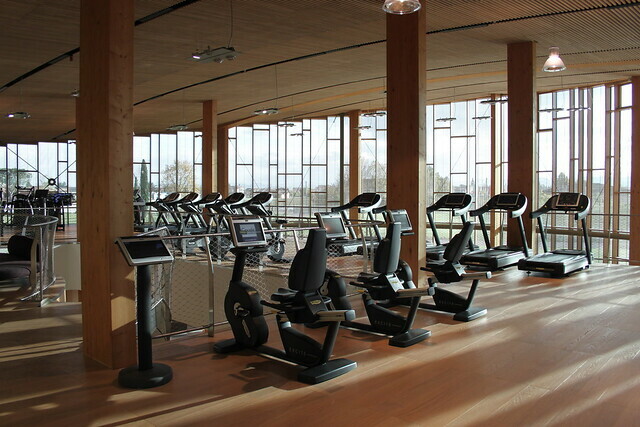 The Wellness Village has a gym opened to all their employees, which also doubles up as a showroom. I felt like the music needed a bit of an update, but that's minor. I'd bring in some funky house and 80's anthem to their playlist! We had the opportunity to experiment with some of the machines, using it to the fullest with a training session on OMNIA. OMNIA made me sweat (I thought it would be a nice and easy little work out..I was wrong)! The equipment allows you to train on your strength, resistance, stability, flexibility, coordination and speed. It's accessible to all levels of abilities and needs. 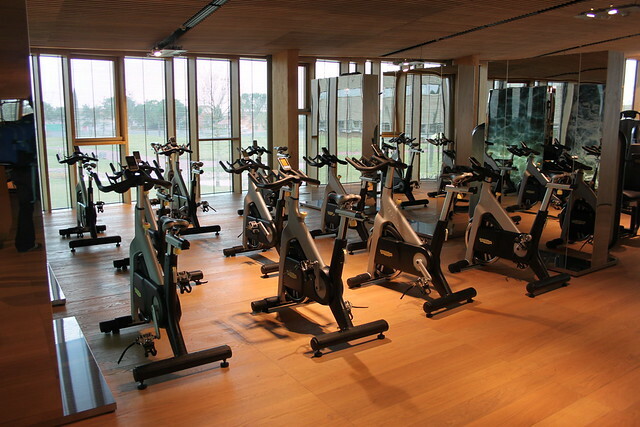 It has been design for an all around workout for small group of up to 8 people. 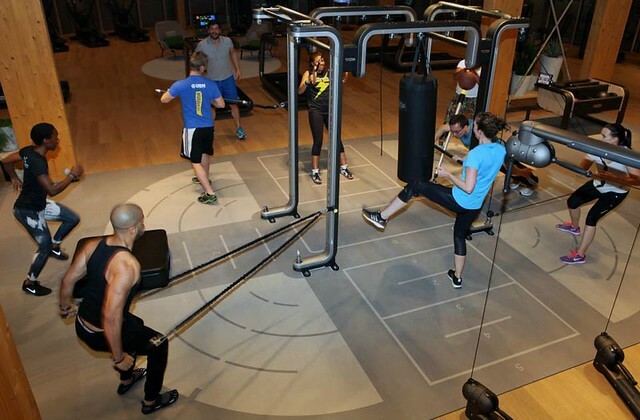 Think circuit session, but with all the equipment all in one place. Very efficient and fun. We also had a session on Kinesis: a single stand alone station that offers zero impact exercises for all levels of fitness and ability. You can adapt the session according to whether you are working on your balance, strength or flexibility. 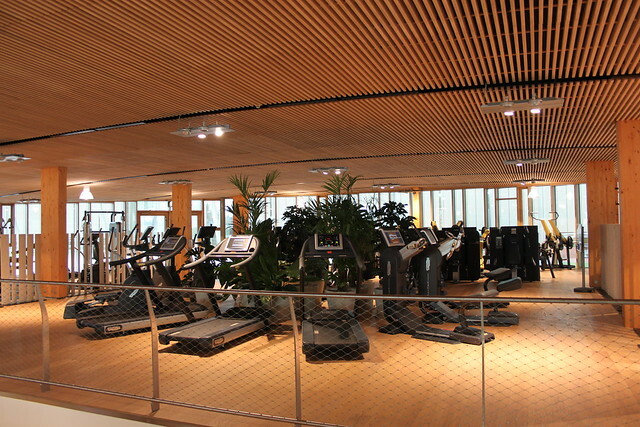 While working out at Technogym, I would recommend the user to have their "mywellness Key" on which clips it to your hip. WellnessKey is a portable device that measures the physical activity performed every day by the user stimulating them to increase their activity day after day, and therefore increase their well being. 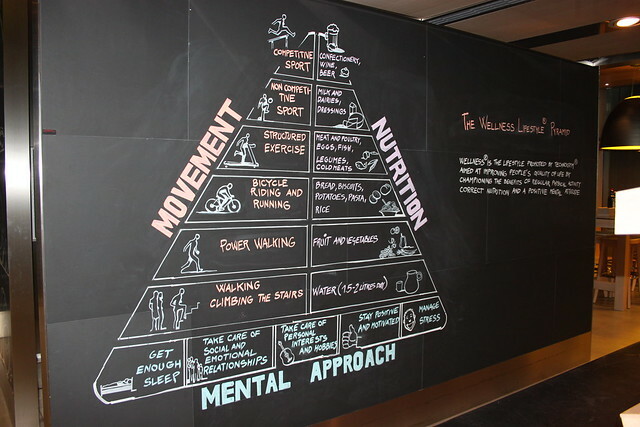 Based on their lifestyle and personal parameters, the key will assign a daily activity target, that will motivate them to do more physical activity and improve themselves. Throughout the day the key will measure the intensity and duration of the physical activity performed, both during the normal daily routine and during workouts in the gym. Mywellnesskey is in fact able to monitor every single movement of the client, who will wear it every day, everywhere, providing him with immediate visual feedback, through a bar that has to be filled. The more the user moves, the more “moves” he gains (the move is the unit of measurement used by the system) and the faster the bar will fill, showing that he has reached his target. We would be missing out what we love if I didn't talk about the food! Plus, all these exercises opened up my (large) appetite lol! The canteen is a real health destination. Don't get me wrong, I'm not talking about raw and superfoodeverything (aka bird food lol), I'm talking about a balanced diet. The Chef offers a large range of seasonal products and dishes. 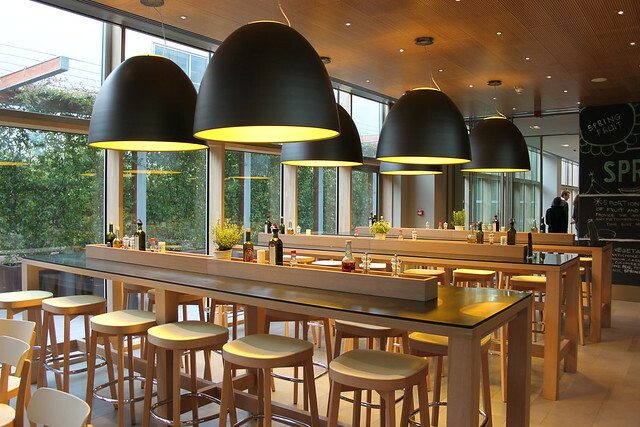 The canteen is beautifully designed and the food is very nice. It's simple, tasty and pasta dishes are always on the menu (we're in Italy hey!). I could eat pasta everyday...I think. I was very content at the end of my lunch. With the offices, the canteen and the gym being so amazing, I asked for a job...no really I did ahah. 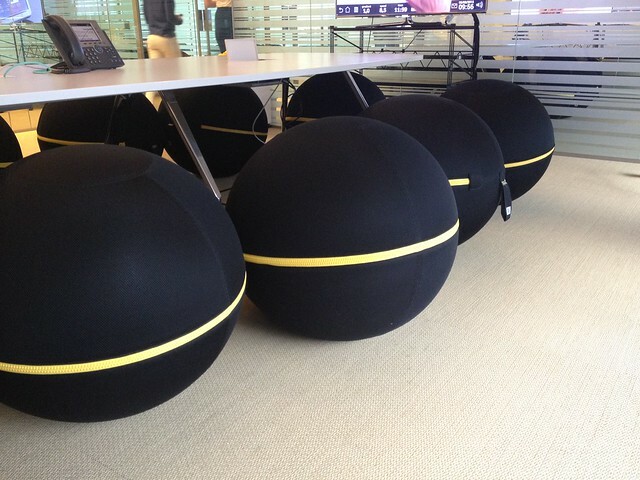 At the Technogym offices they do not have ANY CHAIRS...they sit on balls! Yes my friend! And it's really comfortable. Sitting on a ball forces you to have a better posture whilst also working your core. You stay active while you sit. Imagine after a big lunch you decide to lean back to rest...ahahah forget it, hold you're tummy and work! This is my favorite product. I wanted to bring back one or three (two more for Rachel and Kim) but one ball cost around 240 euros. OUCH! If I'd work in an office I'd ask my manager to get some for my team. Sitting on a chair for too long hurts my derriere you know. The wellness ball would be the one! Grazie a tutti per la vostra accoglienza. E stato molto divertente.